Cabinet plans to pump in 17bn cubic meters of gas against earlier planned 14bn. 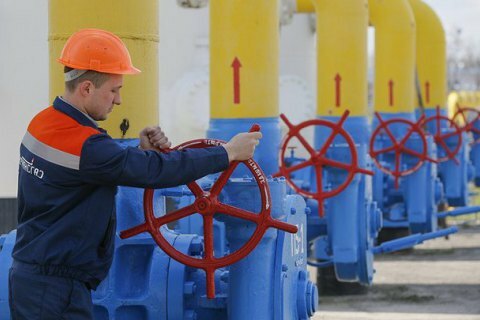 Ukraine has decided to pump into its underground reservoirs 17bn cubic meters of gas for the heating season, the first deputy Prime Minister, Minister of Economic Development and Trade Stepan Kubiv told a 31 August news briefing. He said the decision was adopted at a Cabinet meeting on Wednesday. "This issue was really addressed today at a Cabinet meeting. We discussed how much we need - 17bn cubic meters (for a cold winter) or 14bn cubic meters (provided the winter is warm). The figure of 17bn cubic meters has been approved," he said. Kubiv said Ukraine has the money for the purchase of the gas volume. In June, the head of Naftogaz Andriy Kobolev stated that Ukraine would start the 2016-2017 heating season with 14bn cubic meters of gas in its underground storage facilities. Ukraine, as of August 27, has brought its gas reserves to 12.3 bn cubic meters, starting from 7 April with 8.4bn cubic meters in stock. For the 2015-2016 heating season, Ukraine bought gas in Europe and Russia. Until now, Ukraine could not come to terms with Russia's Gazprom on the conditions of supplies and gas does not buy from Russia.